Ask us about creating a custom-designed canvas collection from your engagement session, portrait shoot, wedding or other special event. 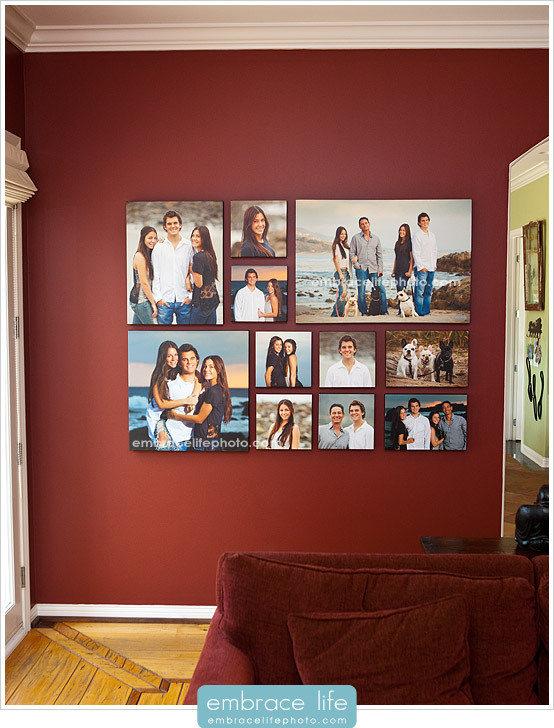 We’ll create something that makes our photographs a focal point in your home by designing something truly unique. Dude that is a fantastic wall display. Now if I only had a wall to do that on. :). Beautiful job my friend. Can you tell me the sizes of the top 4 canvases?